…and the results are amazing! This recipe is hands-down one of our most popular recipes. I hear from people all the time who say that THIS is the chocolate cake their family loves. They make it all the time (so do we). Of course I had to see if it worked to make it in the Instant Pot. And, it does! At first, I made the cake in a 7-inch springform pan. Then I tried splitting the batter between 2 stackable stainless steel pans*. (Both fit in the 6 quart Instant Pot, by the way.) Both options worked great. *Use code 10OFF4WARDEE to get 10% OFF these stackable pans from seller Me'n Lily. Then… my daughter Haniya found this glass bundt pan — to make the Lemon Poppy Seed Bundt Cake (yes, it fits in the Instant Pot) — so I had to try that with this cake. Yes, I even make my chocolate sourdough cake in the Instant Pot pressure cooker... and the results are amazing! 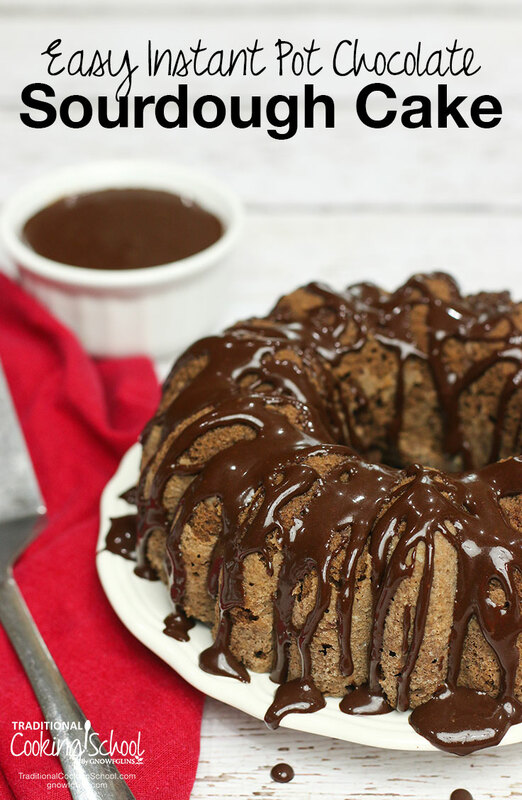 It's so moist and delicious that a little chocolate sauce drizzle on top is all you need. Yields (1) or (2) 7-inch cakes, depending on depth of pan. Combine the starter, milk and flour in a mixing bowl. Cover and let rest at room temperature for 8 to 12 hours, or overnight — even 24 hours. When the souring time is over, put 2 cups of water in the cooking pot, as well a trivet. Put a glass lid or plate on the cooker. If using an electric cooker, put it on saute so it can begin preheating. If using a stove-top cooker, turn on the burner to medium to being preheating. In a separate mixing bowl, combine Rapadura, coconut oil, vanilla, egg and cocoa powder. Add sourdough mixture, salt, baking soda and coffee substitute. Pour into 7-inch springform pan or evenly between 2 greased stainless steel stackable pans*. 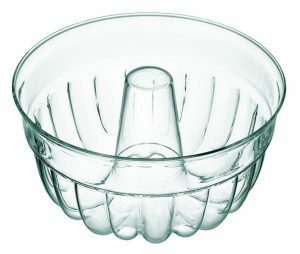 Or, this greased and floured glass bundt pan. The stackable pans come with a lid so use it; otherwise, cover your cake pan with a layer of parchment paper and then aluminum foil. *Use code 10OFF4WARDEE to get 10% off these stackable pans from seller Me'n Lily. Using a sling, transfer pan(s) into cooker. Put on the lid of your cooker, checking that the seals and all components are in good shape, including being in the sealing position. If using an electric cooker, set to high for 25 minutes with stackable pans or 30 minutes with the springform or bundt pan. If using a stove-top cooker, bring to high pressure and maintain pressure for a cook time of 25 minutes with stackable pans or 30 minutes for springform or bundt pan. When cooking time is over, if using an electric cooker, hit the Cancel button to turn off the heat, and also unplug it. With a stove-top cooker, remove from heat. Let sit undisturbed for 10 minutes. Then, if still not depressurized, use quick release. Carefully transfer out of cooker and put on a rack to cool. If you used the springform pan, unclasp the ring and remove it. If you used the bundt pan, carefully tip it out of the pan onto a plate or platter (when cool). 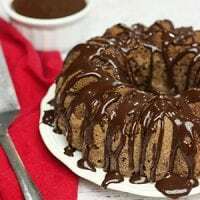 Drizzle chocolate sauce on cake and enjoy! Blend all ingredients together in food processor or blender. Chill leftovers. If serving again, let come to a cool room temperature and give a quick stir to smooth out the texture. Have you tried this Chocolate Sourdough Cake yet? Would you like to try it in your Instant Pot? This post was featured in 22 Real Food Instant Pot Desserts. Couple of questions: how active should the starter be? Is the use of a coffee substitute to avoid the caffeine? Does the coconut oil come through in the taste? The starter should have been fed within the last 12 hours. It could even be 18 to 24, though we prefer 12 or less. If you use expeller pressed coconut oil, there is no coconut taste. If you put the sling in the middle and hold both ends together in the middle of the pan, and then lift carefully, it won’t slide. I noticed that both the stainless steel containers and the glass bundt pan are not available on Amazon, and there is no projected dates when they will be available. Is there a way to contact the companies and find out if they will make more?? Also, I have a silicone bundt form that will fit snuggly in my 6 qt IP. First, can I use silicone forms? Second, does there need to be an air gap around the form/container for the IP to work correctly (For instance, if I splurged and got an 8 qt IP and found that my silicone form fit in there with a small gap around the edges)? You can use silicone, however, we haven’t tried this. 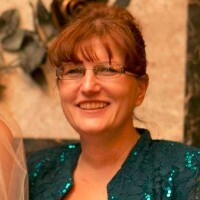 Wardee has seen many others do it so she doesn’t see a problem. Hi, This cake looks delicious, but what do you suggest to do if someone doesn’t have an instant pot? I saw in your recipe from 2009 that your first recipe uses way more flour than this recipe. Is that because the instant pot makes it rise way better? Also its okay to use a bundt pan with your old recipe? How well would it work? Thank you so much! Thanks for your question! The entire recipe is reduced, not just the flour. It’s a smaller cake. If making the original recipe, it is written for a 9 x 13 or (2) 8- x 9-inch square or circular cake pans. You can substitute 1 (10-inch) Bundt cake pan. I made this and it turned out moist. And yummy. But it was very crumbly. I used spelt flour. What could have gone wrong? Seems like another egg might have helped… Thanks for any insight. It could be that your starter was too dry (too little hydration) or it could have been overcooked. Thanks for replying Danielle. I am still fairly new to this sourdough business. I’m about 6 weeks in; made pancakes, muffins, and this my first cake. (hopefully bread in the near future!) I cooked it exactly the time suggested and am not at high elevation. What does it mean for the starter to be too dry? When I made the sourdough mixture (starter+milk+flour) I made sure it was thick, like the Sourdough Ebook said to do. Does that have anything to do with it? ie does ‘dry’ mean sourdough mixture too thick? If not, how does one recognize (and fix) a dry starter? Thanks. correction – I did not make the batter thick – that was for the gingerbread cake! My starter (and soured sourdough mixture) was a bit rubbery though… had to mix a lot before everything combined. Could that have done something bad? Overmixing sourdough spelt may have damaged the gluten strands? Overmixing can break the fragile gluten in spelt. That could have been the trouble. Dry means not enough moisture or water/milk in the starter.